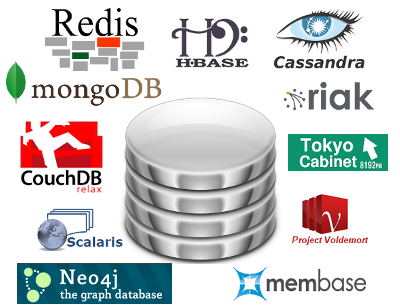 Database specialist MongoDB has made a range of announcements this week during MongoDB World – which is back in New York for its first year as a publicly listed company – including a new mobile version of its core database and the addition of ‘global clusters’ to its Atlas database-as-a-service (DBaaS) offering. MongoDB Mobile has been launched in beta, extending the core MongoDB database to mobile or even IoT device level. This promises to allow developers to natively build real-time, automatic syncing between data held on the device and the backend database. For customers of MongoDB’s database-as-a-service option Atlas there is now the option to leverage ‘global clusters’ to specify where data sits across global availability zones, read and write from those locations and meet increasingly stringent data regulations. “Unlike other distributed databases that randomly spray data around a cluster, MongoDB allows users to define controls that place data on specific nodes, for example in a specific region for low latency reads and writes, and for compliance with new privacy regulations,” the vendor said in a press release. The Atlas Free Tier is also expanding to Google Cloud Platform this month. MongoDB’s Stitch service is now out of beta and generally available, with the vendor showing off four new features. First is Stitch QueryAnywhere, which expands the MongoDB query language to developers through a rules engine that lets users declare security policies at a fine grained level. Third is Stitch Triggers, real-time notifications that start functions in response to changes in the database. Last is Stitch Mobile Sync, which is not generally available yet, but will automatically synchronise data between documents held locally in MongoDB Mobile and the backend database. When it comes to MongoDB’s core product, MongoDB 4.0 server now has made multi-document ACID transactions generally available. “Providing a consistent view of data across replica sets and enforcing all-or-nothing execution to maintain data integrity, MongoDB transactions will be very familiar to developers already accustomed to working with transactions in legacy relational databases. They are easy to add to any application that needs them and do not impact the performance of operations that don’t,” the vendor said. Version 4.0 also comes with a new beta MongoDB Kubernetes Operator and Charts, a real time data visualisation tool for MongoDB data.